While the absence of a number of major multi-platform franchises and IPs from Nintendo hardware can be easily explained, the fact that Minecraft has never come to the Wii U or 3DS remains surprising. While technical limitations would hold a 3DS version back to being a lighter / smart device port, the Wii U would be a great home for the sandbox game, especially with the GamePad's ability to offer physical and touch screen controls to deliver the best of console and tablet-style approaches. With Mojang's global phenomenon skipping Nintendo hardware we've seen smaller developers attempt to fill the gap. Yet, if Mojang COO Vu Bui is to be believed, there's still an appetite within the company – despite its acquisition by Microsoft – to expand to more platforms. Speaking to MCV, Bui was clear that Nintendo fans shouldn't completely give up hope yet. If I had my way, we'd be on everything. We want to continue to be available to all players, and that means being on new platforms because everyone uses something different. …I've never heard a reason why we haven't ended up on Wii U or 3DS. It just hasn't happened yet. Of course, positive noises have been made in the past regarding Minecraft and Nintendo hardware, yet with different versions of the title continuing to sell in significant numbers it would still – even after its prolonged absence – be a welcome arrival. 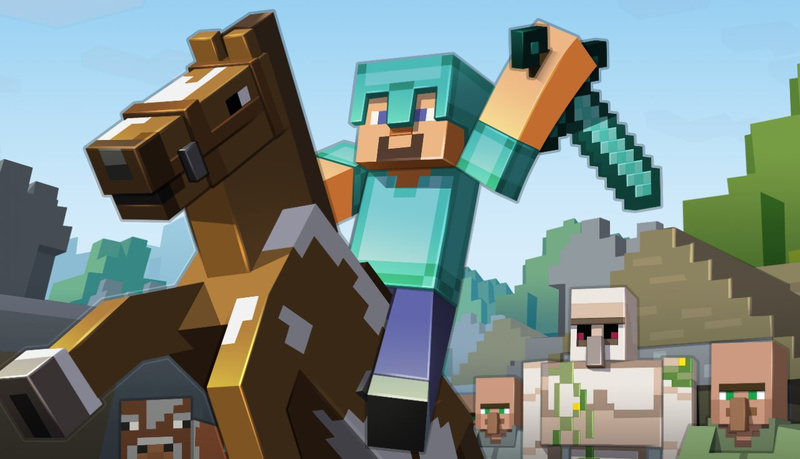 Time will tell whether Minecraft arrives in some form on Wii U, 3DS or even NX.